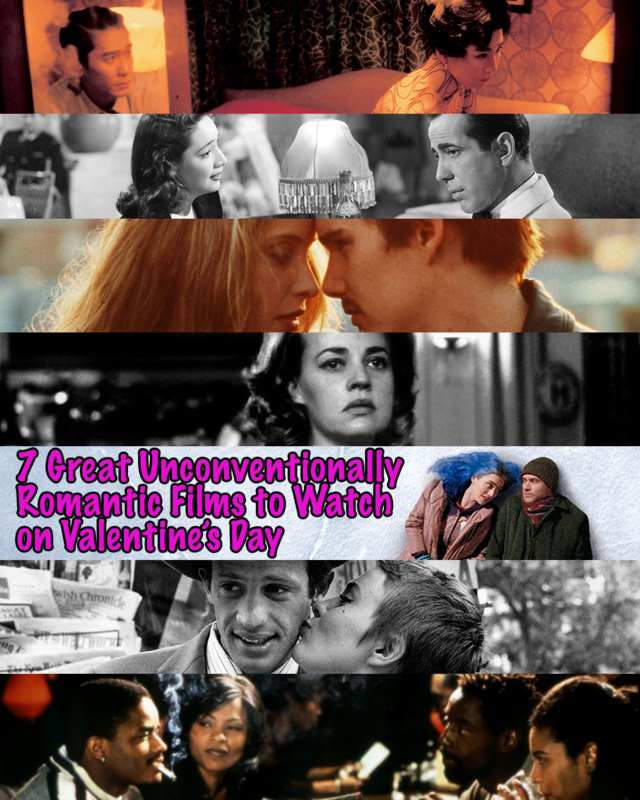 Valentine’s Day is coming up soon and we at West Hills Cavi-Lipo have compiled a list of seven unconventionally romantic films to watch with your loved one on Valentine’s Day. We know you’re probably tired of watching Love Actually, Titanic and the Notebook every year, so here are a few hidden gems you may not immediately think of. These are great to watch whether you’re a married couple or on your first date. A movie and dinner is a great way to spend Valentine’s Day, but feeling good is even better. Whether you want to look good for yourself or your partner, Cavi-Lipo is an excellent way to lose inches in a fast and healthy way. There’s also still time to ‘inadvertently’ mention West Hills Cavi-Lipo to your loved one and let them know you’d love the gift of a few Cavi-Lipo treatments. As of now until March 14th, 2018, purchase (3) treatments for the price of $210. Go ahead and lounge around with your Valentine, eat copious amounts of chocolate and watch movies all day and feel relieved that West Hills Cavi-Lipo is here to help you feel and look amazing. Ascenseur pour l’échafaud begins with a murder, but is ultimately a tale of love, lust, and passion. Jeanne Moreau is especially charming as Florence, and the great visuals are almost outshined by a great score provided by Miles Davis. This is a dialogue heavy film with little to no action that somehow still managers to keep the viewer enthralled for the entire length of the film. It follows two people who meet for the first time on a train and end up spending the day together in Venice. The entire film is essentially a collection of conversations that work to dissect the intricacies of two people falling in love for the first time. Constantly regarded as one of the best films ever made by a number of film societies, À bout de souffle is the story of a thief and a student, the dynamic between the two and their effect on one another. Eternal Sunshine is film at it’s finest. It’s a beautifully shot, cerebral film with unconventional story telling. This is a film that is bound to stay in your head with resonating quotes and relatable thoughts and ideas. While it is a bit more melancholy than other films in this list, it’s the perfect film to watch and discuss over dinner with your significant other. Kar-Wai Wong crafted a masterpiece with Faa yeung nin wa. This is another unconventional love story that, at it’s core, is one of the finest romance films ever created. There are very few films more visually striking, and the acting and writing are so well done that it feels like you’re intruding on the lives of two strangers. Without giving away too much about the plot, the tension present between the two main stars in this film feels so tangible that it deserves a place in the credits. Casablanca is a certified classic. However, it often is overlooked when it comes to naming romantic films. While it’s conclusion isn’t the typical ending to a romance film, at it’s core, it’s still very much about love. Casablanca is a great movie with a gripping story, great cast, and is one of the more action oriented films in this list. Chances are you’ve heard one of the many quotable lines derived from this film.